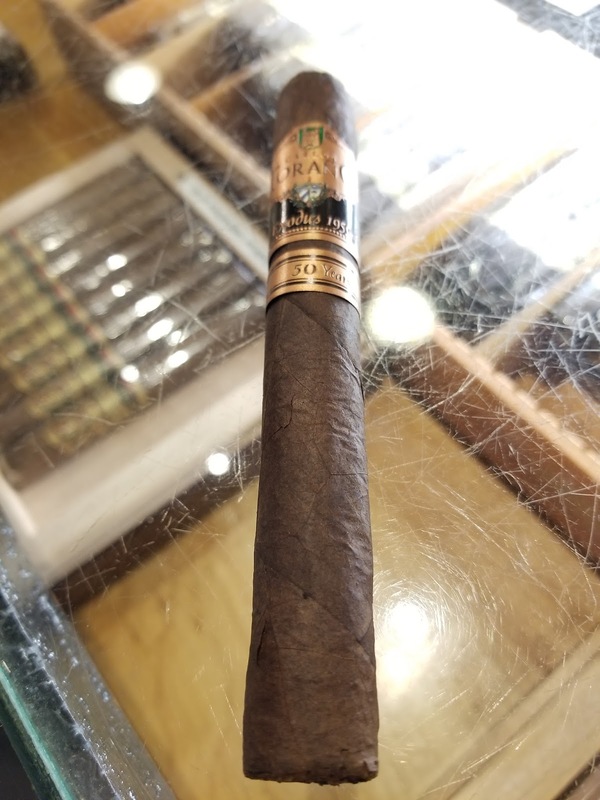 Background: The original Exodus line was created by Torano to commemorate the exodus that occurred in Cuba during the 1959 communist revolt, specifically with many cigar families fleeing the country to eventually set up operations elsewhere. 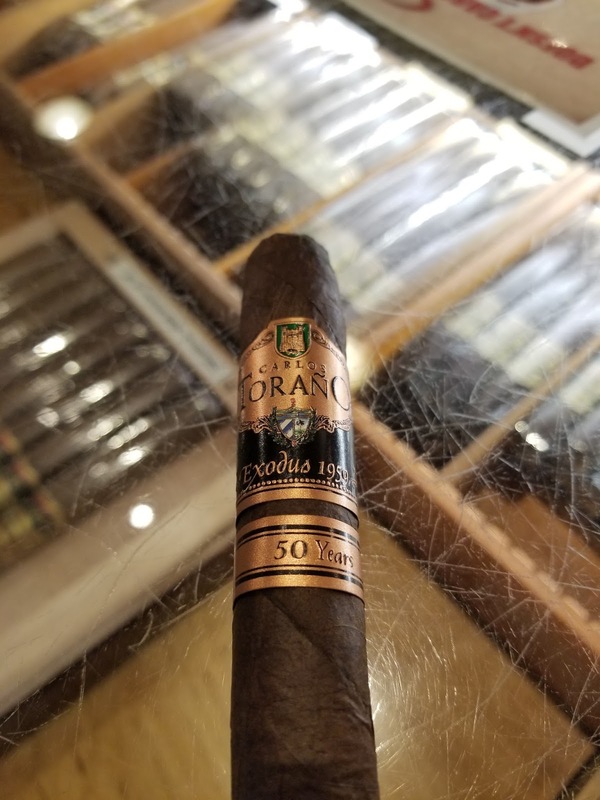 Appearance (0-20): The Torano Exodus 1959 has a nice rich looking Brazilian wrapper on it, but it shows quite a few smaller veins. They are nothing I am worried about when lighting up, but are worth noting. There are a few nicks in the wrapper and just giving it a quick glance you can see the wrapper itself is a bit on the thin side. On the inside there are absolutely some nice looking tobaccos distributed throughout. The dual bands have a nice elegant matching copper and black color scheme, embossed with the Torano insignia. Construction (0-20): I don't like the fact that the wrapper has already cracked a bit but when I felt along it the actual culprit is that it is both thin and delicate. Because of that I didn't want to apply too much pressure to the stick at all. So from a packing standpoint, I can feel a few small gaps where there may be an issue but can't determine how big the gaps are without possibly messing up the wrapper. Despite the potential pitfalls, the cut was completely clean. The draw was slightly loose and remained that way throughout. The burn line was also pretty sharp, but the ash didn't hold terrible long before dropping off. Strength (0-20): Medium to full, but falls a little short - sticking in the medium realm pretty solidly. However the medium strength works best for this cigar. Flavor (0-20): When sparking this one up there is no doubt that this thing has some rich flavors waiting there for you. Deep earthy flavors and rich tobacco are mixed with a very distinct peppery spice. These continue through the first third with just the slightest bit of sweetness. 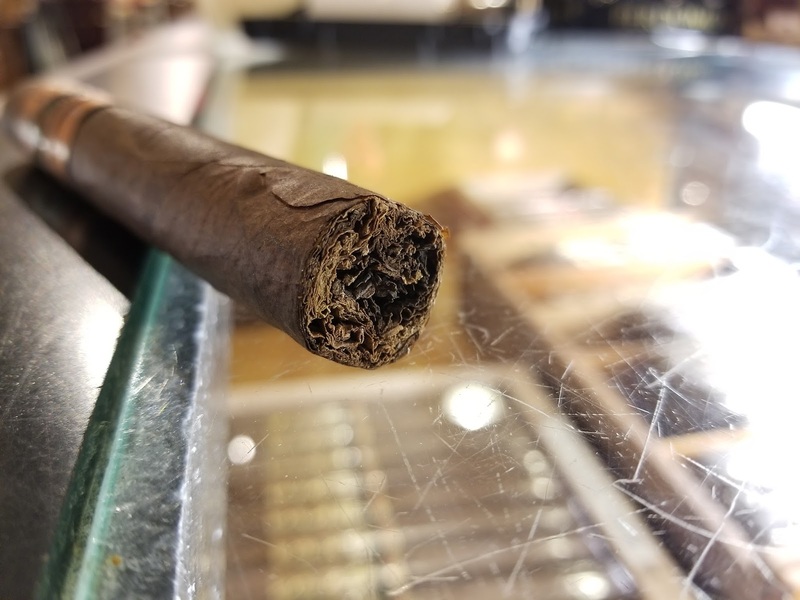 Working through the cigar, the same flavors continue to be present, but in differing amounts, each taking a turn at the forefront. The flavors given enough complexity to be satisfied, but not so many that that it feels forced - making this just simply work. Value (0-20): For the cost of $5.60, its a decent stick to snag. The flavors are there to make this worth the price, even despite some of the other issues that you may have with appearance and construction. 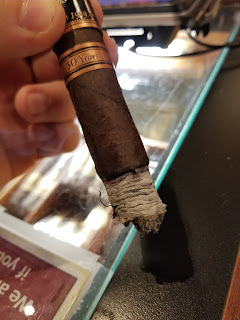 Overall (0-100): I know the box pressed version of this stick earned a whopping 93 from Cigar Aficionado, but for me it doesn't quite reach that kind of peak. In fact, it falls quite a bit short of that rating mainly due to the construction and appearance. The wrapper was extremely delicate and the packing was a little off which hurt the burn, hold of the ash, and overall experience. But that same wrapper is a large reason the flavors are so spot on for the smoke.... which of course is a redeeming factor here. The flavors and strength work well as a whole, with nothing overpowering happening and nothing too complex. The mantra here may be that simple is not always inferior, since it all works - pepper, earth, rich tobacco, and sweetness all in just the right amounts. And a sub $6 price tag? Yes please. This is the type of cigar that I am willing to fight through any issues on due to it being an affordable quality smoke.